To be honest, I sometimes think about leaving the industry soon. Don't get me wrong, I know I'm very blessed to be here and a lot of people would do everything just to be where I am now, but I already have this sense of contentment and fulfillment from the things I've done and attained. I have been given more than what I wished for and I am really grateful for that. I would be fine if everything I have right now would be taken away from me—the fame and all that goes with it. I am here because of the people who love me. I feel gratified every time someone tells me, "You make me happy." I think that’s one of the greatest things you could ever hear from someone. But after hearing that, I feel uncertain because I can't help but wonder, "Sarili ko nga hindi ko mapasaya, paano ko pa 'yon nagawa sa iba?' Although I've heard it more than a thousand times already, I still muse on it every single time. I guess I'll never know how I do it and I might be forever in denial of the fact that I made a positive impact in this world—along with Alden, of course. It's not just about living the "secret ultimate dream" for myself anymore. It's about doing it for others; it's about living with a purpose. I get letters and messages from fans saying I inspire them to do great things. ('Di ba, akalain mo?!) Whenever I get these comments, I still ask myself, "Ano ba talagang meron sa akin? Ano ba ang ginagawa ko?" Though I still cannot find the reasons why people look up to me as their inspiration, I just trust God's plan for me. Perhaps He knows I can lend some people a helping hand. I remember receiving a letter from a fan who was sexually harassed as a child. She grew up traumatized by her past and developed a depressive disorder called Dysthymia. She thought about taking her own life numerous times to escape from her ordeal and emotional pain. She wanted the nightmares from her past to stop, and she thought the only way to do it was to simply give up. One day, she decided to check my Instagram account and came across my 20th birthday post. Everything changed since then. 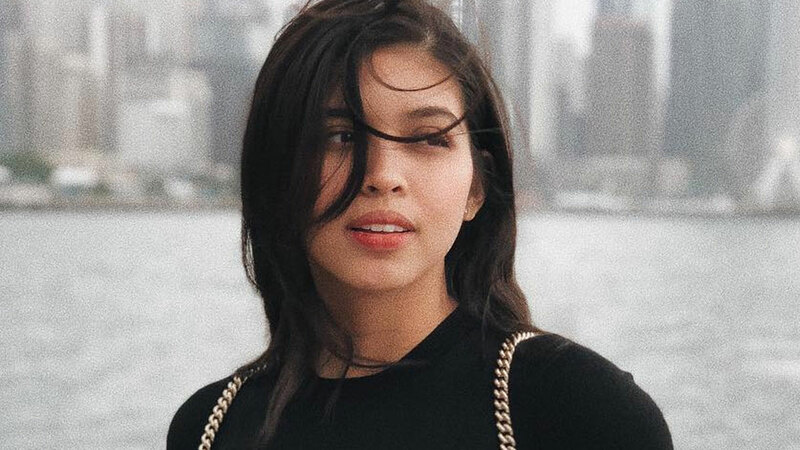 "Ate Maine, you changed my life," she wrote in her letter. I was astounded by the fact that I saved a kid from taking her own life. I cannot fathom how a simple Instagram post turned things around and changed someone’s life. Can you imagine how close she was to giving up? I’d like to think that the Lord made me His instrument to save this young lady and to bring back her faith and hope in life. I was moved by her story so I decided to message her privately to give her more words of encouragement—to hold on and to keep on fighting. The conversation ended with a promise from her that she would not think of taking her own life ever again. I know she is not the only person here who is struggling with depression. She is definitely not the only one who has thought of ending it all. If you ever find yourself thinking about giving up on life, I have two words for you: DO NOT. Life can be unfair and cruel at times, but know that it doesn't end there. Bad things happen to everybody because they are a part of life. We just have to be brave and strong to get through them. Wicked people who do vicious things might surround us, but we should never give in to them. “Laban lang nang laban,” as Sinag Obispo (my Destined to be Yours character) would say. There are so many things in this world we have yet to discover. And I know most of these things are nothing but beautiful, for life has always been beautiful. Remember that it is always up to us to find beauty in it. Things may go from bad to worse and you might feel like it’s never going to change, but believe me when I say it will get better. Everything will be all right, I promise you. We may have our own different battles, but remember there is only one God. He is always looking down on us wherever we go and whatever obstacle we face. You may currently be in a lot of pain, but you never know what God has in store for your future. Marami pang magagandang bagay ang mangyayari sa buhay mo. Magtiwala ka. Kapit lang, laban lang. P.S. If you are looking for a sign on whether you should still hold on or give up, this is it. Hold on tight, my dear. Don't you ever give up; never ever give up. "When you feel like giving up, just remember the reason why you held on for so long." 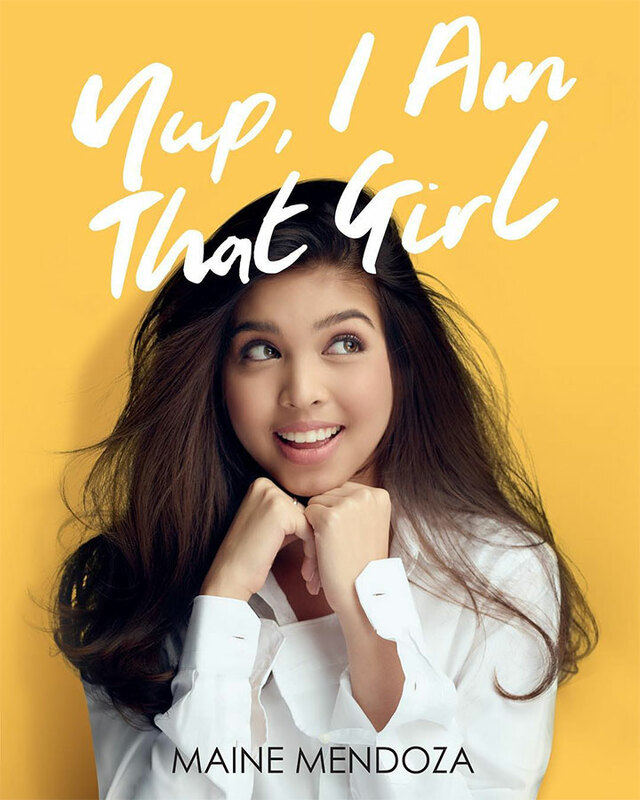 This is an excerpt from Yup, I Am That Girl by Maine Mendoza, published by Summit Books. The book is available in bookstores, newsstands, convenience stores, and supermarkets nationwide for P295.